Dr. Winkel is coordinator of a session entitled The Global Forest Environmental Frontier – What has changed, what has remained unchanged, how will the future look? at the IUFRO 125th Anniversary Congress in Freiburg, Germany in September. Forests mean many different things to many different people and are managed for many, often conflicting, societal needs and claims, he said. “At the core, however, the questions are: what role do forests play as a natural resource? What are the current and future prospects? And how has the environmental debate relating to forests and forestry evolved in the last decades and in different regions of the world? “It’s a debate that involves different scientific disciplines, policy sectors, political-administrative settings, societal groups and economic players in a variety of regional settings,” he said. In terms of discourse analysis, delineating the frontier has, in his opinion, become more complex since the 1980s when, in several forest regions across the planet, to talk about the frontier would have meant talking about open conflict between the forest sector and environmental groups. While this has not entirely gone away, Dr. Winkel said the debate today is much more multi-faceted and much less ‘black and white’. Elaborating on this evolution of the frontier, its shifting boundaries and finding common denominators for the changes, will be at the heart of his Congress session. While he finds it difficult to have a clear vision of what, in terms of the frontier, will transpire in the future, he sees at least three possible scenarios. The frontier will disperse and get permeable as socio-economic interests and environmental beliefs become less and less divisible. This, he said, refers to the necessity to integrate environmental values in sustainable business development. For instance, a forest bioeconomy needs to be sustainable and must have a social license to operate. There could be increasing pressure to demonstrably integrate environmental values in forest products and ecosystem services value chains and thus be seen as a sustainable business as the economy transforms away from non-renewable resources. 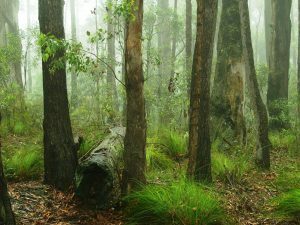 The frontier will fade away because either the environmental beliefs will vanish or, through technological change, the necessity to use forest biomass will decrease. This scenario is the ‘wild card’ option. “It’s really hypothetical,” Dr. Winkel said. “Societal values always change. No one can really know how these values will develop in the future. As for the possibility of technological change, again it’s totally hypothetical and assumes a major unforeseeable change that shifts demand – something like coal replacing wood as an energy source in the 18th-19th centuries. About 2000 scientists from 89 countries are expected to attend the Congress. The Forest Environmental Frontier session in Freiburg will be one of 172 scientific sessions that will cover a wide array of topics dealing with various aspects of forest research.